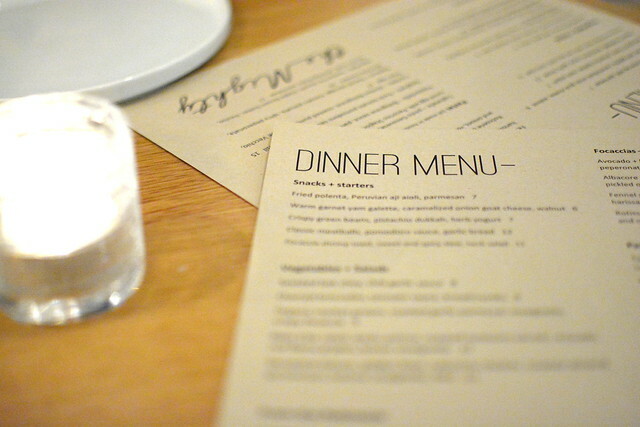 Quinn and Karen Hatfield opened a new restaurant, and it is really terrific. I’ve been smitten with Quinn’s savories and Karen’s sweets since their Hatfield’s days (Version 1.0, Version 2.0) and am stoked that their latest effort is so close to home. This opening is a tremendous win for Downtown (and my belly). Christina and I met up for a midweek breather at The Mighty last week and proceeded to order enough food for a party twice our size. It was gloriously excessive. I love ordering “shrimp toast” whenever I see it on menus because I’m never certain what will arrive. 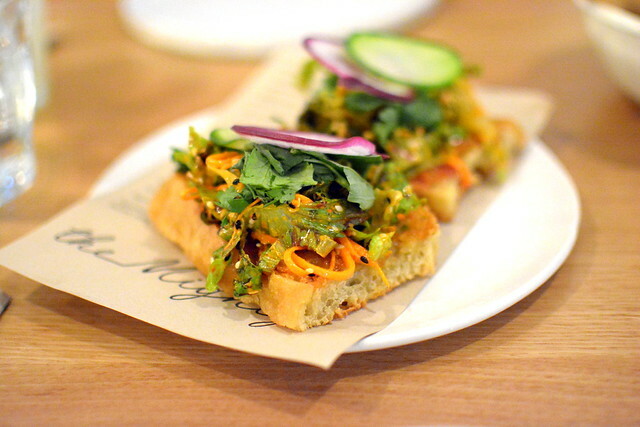 The Mighty’s take arrived on toasted focaccia with a spicy sambal spread and plenty of fresh herbs. 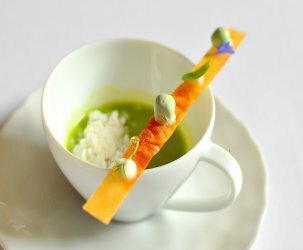 The Southeast Asian flavors were unexpected but totally welcomed. 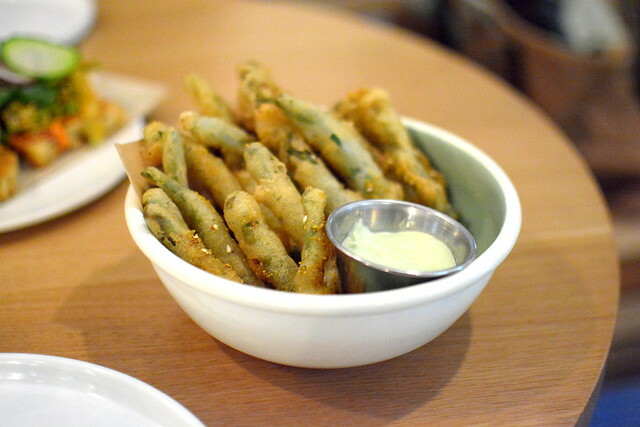 We also shared the fried green beans with pistachio dukkah and herb yogurt ($7). The lightly battered string beans—crisp and golden—were more decadent than anticipated but we didn’t mind. There’s no shortage of great pasta in the neighborhood, and The Mighty’s noodles can hold their own. 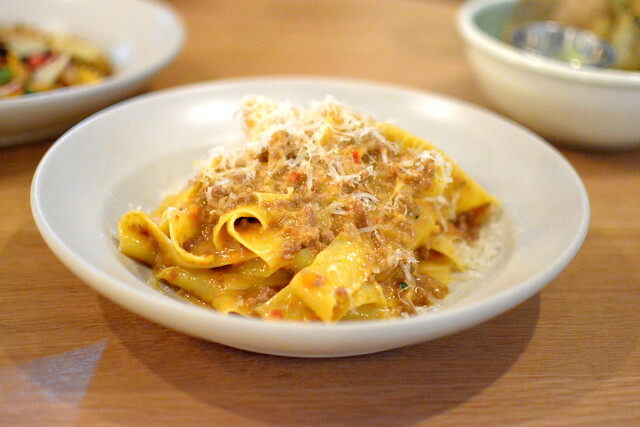 The pappardelle with bolognese and parmesan ($16) delivered with its silky strands and well-seasoned sauce. 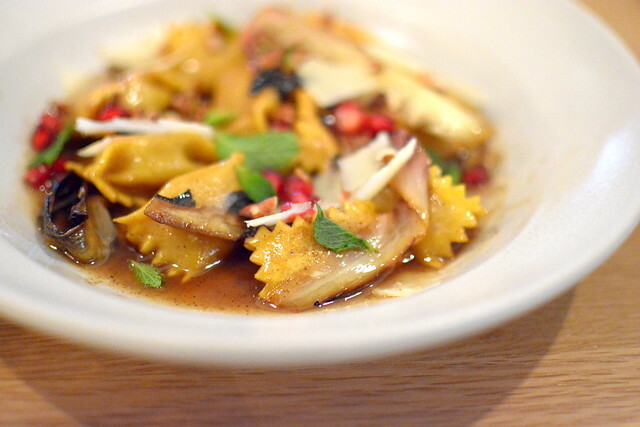 The highlight of our meal had to be the butternut squash agnolotti with maple brown butter, treviso (chicory), radicchio, pecans, pomegranate, Parmesan and mint ($17). The autumnal flavors, a balance of sweet, savory, and bitter, knocked it out of the ballpark. For dessert, we couldn’t decide between the cake and the pie, so we proceeded to order both. 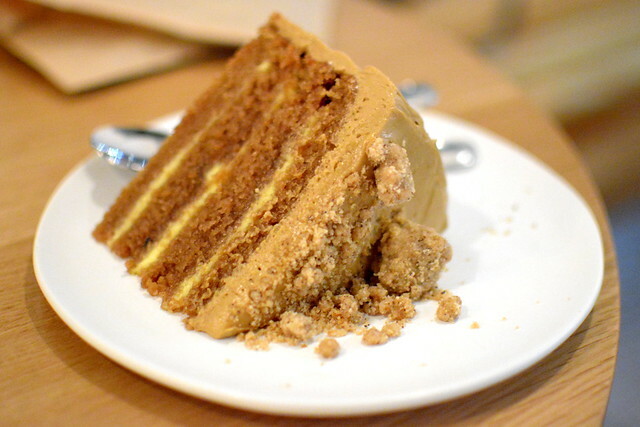 The coffee and mascarpone layer cake was super-moist and not-too-sweet. The tastiest component had to be the crumble topping speckled with coffee grounds. 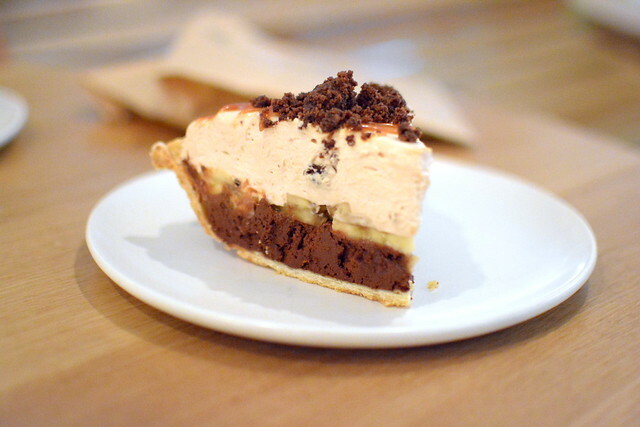 We also adored the chocolate and banana cream pie, complete with buttery crust, rich filling, and once again, killer crumble. Karen Hatfield is a pastry goddess. 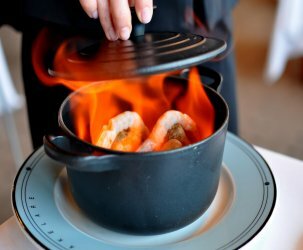 I’ve been dining out at a lot of Italian restaurants lately, mostly hyper-regional ones that are currently having a moment here in Los Angeles (see: Felix, Rossoblu, Cosa Buona). It was a nice change of pace to sit down to an eclectic meal boasting all sorts of influences this evening. 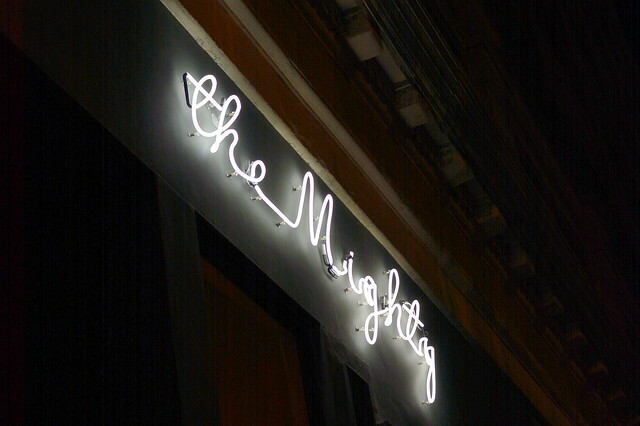 Noodles, cake, and pie—The Mighty serves up just the kind of fare that I love to eat. I kept walking/driving past this place and reminding myself come here. 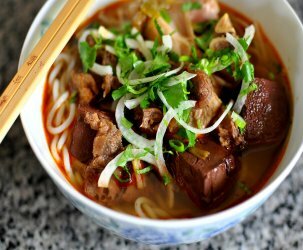 It’s atop my list of DTLA restaurants to try! You’re lucky to have this spot in your neighborhood, DD!